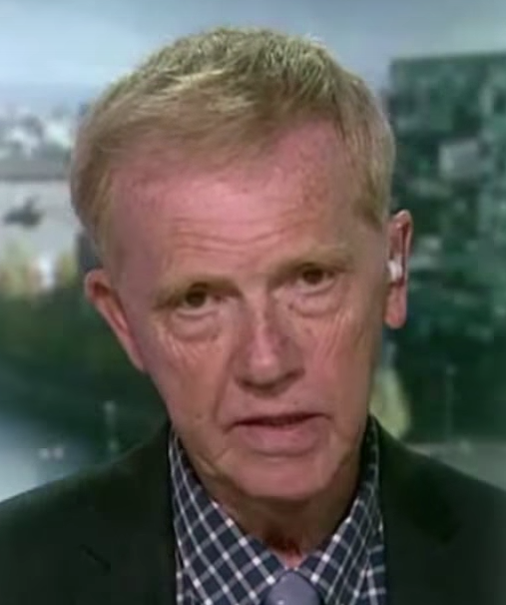 SYRIA could face a major crisis in the event of another chemical attack as it may justify US-led military intervention in the country, a former Foreign Office official has warned. 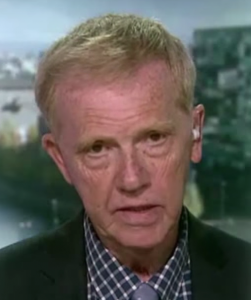 Peter Ford, the UK’s former ambassador to Syria, said a situation similar to the alleged chemical attack in Douma in April could spark a widespread military operation against the Syrian regime and Bashar al-Assad’s army. Speaking to RT, Mr Ford said: “The real potential flashpoint is a return to a Douma-like situation. “Remember in April, we were close to World War 3. We were talking in those terms. US-led airstrikes in Syria following the April attack were carried out before formal investigations were conducted to determine whether chemical weapons were used. A preliminary report published by the Organisation for the Prohibition of Chemical Weapons (OPCW) indicated that “various chlorinated organic chemicals” were found in two locations, but no evidence was uncovered of nerve agents. Dozens of people were killed following the attack in the Eastern Ghouta town, which is located close to Syria’s capital Damascus. The OPCW’s report indicates that medics treated around 500 individuals “exhibiting signs and symptoms consistent with exposure to toxic chemicals”. Mr Ford suggested that a further chemical attack may spark an all-out US-led military operation as the country’s stake in the region is increasingly dwindling as the civil war draws to an end. He said: “I don’t think the Americans have much to negotiate within Syria. “The boots on the ground are very limited in numbers, effectively they’re just a tripwire. “The pro-US forces in the south are in the process of being rolled up. Footage was released following the attack in April of young children foaming at the mouth, with western Governments accusing President Assad’s army of carrying out a gas attack. The OPCW has not attributed blame for the use of chlorine weapons but has recorded the systematic use of banned weapons during the Syrian civil war, both by ISIS and the Syrian regime. Mr Ford also expressed his concern over President Trump’s actions within the Middle East but noted his rejection of mainstream political consensus offered a slight sense of hope. He said: “There are two keys to understanding Trump. One is this so-called isolationism or nativism, the other is his narcissism. “And his narcissism in a way is his redeeming feature because it makes him depart from the orthodox Washington consensus. “He’s like a Gulliver who’s pinned down by the Washington consensus, by this myriad of little advisors around him.